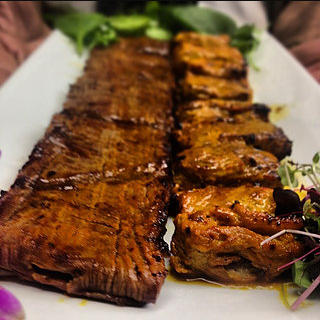 saffron marinade, skewered and grilled to perfection. Jalapeno, basil, lime marinated lamb tenderloin chunks. Skewered and grilled.